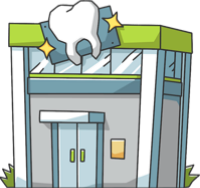 These are the most common insurances accepted by Dentists in Brandon, FL. Cuando me mude a Tampa buscaba una dentista que hablara español de verdad y no solo por atraer clientes. Alguien a la que Yo le pueda hacer preguntas y que me explique en mi idioma mis dudas. Sin entrar en mucho detalle en mis necesidades dentales les puedo asegurar que Dra. Cervantes tiene unas manos magicas. La anastesia ni las reparaciones se sienten ya que Ella sabe hacer su trabajo y no esta adivinando lo que tiene que hacer. Su establecimiento es muy limpio y muy comodo. Gracias Dra.. The experiences I had with Dr. Cervantes have been outstanding! She is very knowledgeable,and was very thorough with the work I had done. She and her Dental Assistant Rochelle, were very considerate in asking about how comfortable I was during my procedures. I was referred to an endodontic specialist for a root canal and heard them comment on how good my cap work was done. The office is very accommodating when it comes to scheduling appointments. I highly recommend Dr. Cervantes to all!. Dr. Cervantes is very kind and is very thorough. I have been there several times in the past year and her work is outstanding. She consistently asks if you are feeling ok during a procedure. She always answers my questions and explains in a very thorough manner to make sure I understand. Her work is very precise! I am always impressed with her work. Her dental assistant Rochelle is also very thorough in her work and always does an outstanding job. I highly recommend this practice. Outstanding!. Dr. Raulerson is the most gentle dentist I have ever been to. He takes his time with each patient and answers all questions. My dental health is the best it's ever been for the last 8 years I have had him as my dentist. I recommend him to my friends and family. He treats his patients and staff with the utmost respect. The staff here is equally amazing! Love them all!. He has taken care of all my many dental needs for years. He is caring and professional. I fly from Los Angeles to have him for my dentist. I wouldn't trust anyone else for all the procedures I have had done.. The staff is great from the moment I walk in to the moment I leave. The care that they show for their patients comes through their actions and words. I also appreciate the office utilizing up to date technology..